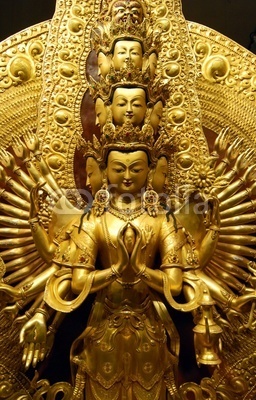 The traditional view is that Atiyoga was transmitted mind to mind at the very beginning of time by Adibuddha, the Primordial Buddha Samantabhadra (Kun tu bzang-po) the Dharmakaya aspect of Buddha, to Vajrasattva (rdo rje sems dpa). This miraculously caused the teachings to emerge from the unmanifest Dharmakaya into the Sambhogakaya, but in a state of total purity unsullied by imperfections and unconstrained from any limitations. 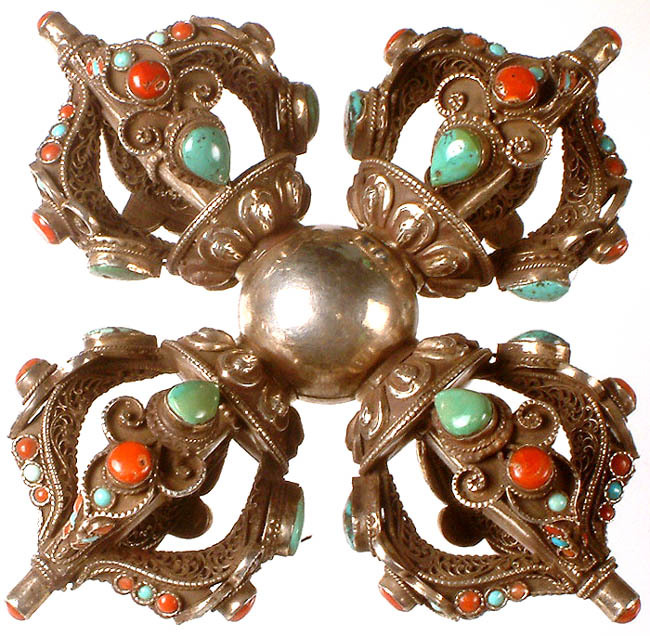 Vajrasattva communicated the prececepts through symbolic means to human and other beings who were ‘vidyadharas’ (rig-‘dzin), “those who have realised knowledge of the Primordial State”. 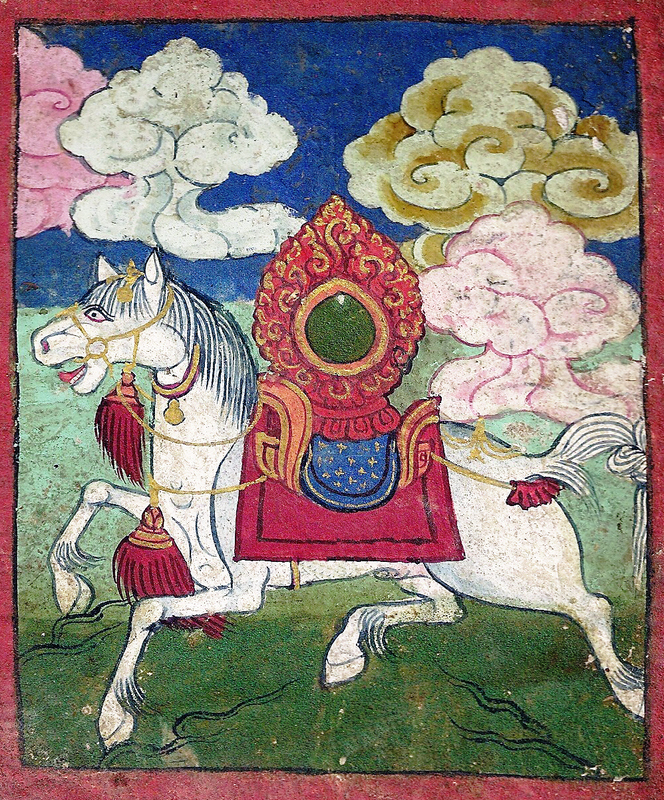 Among the non-human Vidyadharas was Garab Dorje in a previous incarnation as a deva. 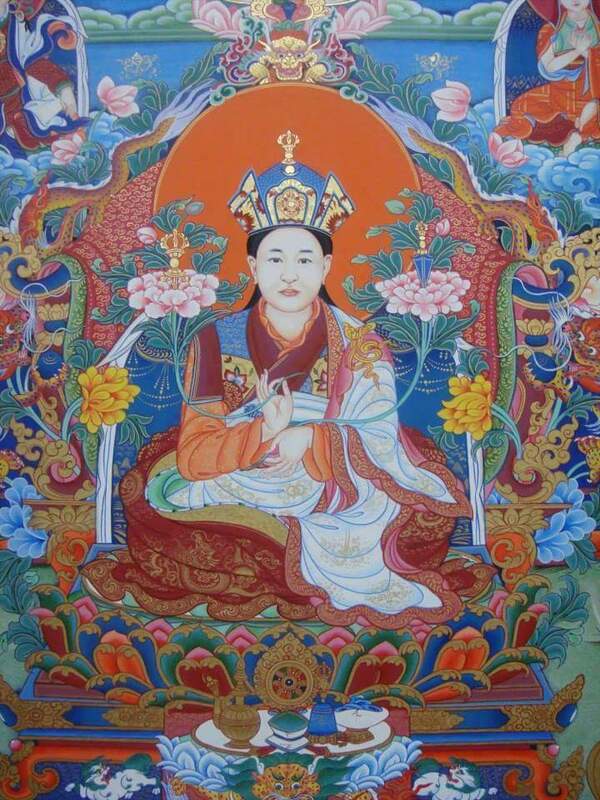 Garab Dorje was miraculously born to a virgin nun in Öddiyana. He transmitted these symbolic teachings to both human and non-human dhakinis but especially to his disciple Manjushrimitra. In turn Manjushrimitra transmitted the precepts to Shrisimha who passed them on to Jnanasutra, Vimalimitra, Padmasambhava and Vairochana, the translator. These were the oral transmissions (gang-zag snyan brgyud). Transmission of Ati Yoga precepts is of three types: direct, symbolic and oral. 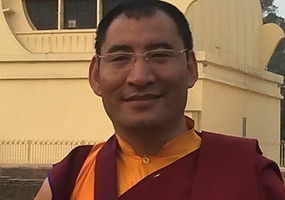 Called dzogchen, ati-yoga yana, upadesha, mahasandhi or shintu-naljor thegpa, this vehicle has three series of teachings, comprising of Dzogchen sem-dé, Dzogchen long-dé and Dzogchen men-ngak-dé. 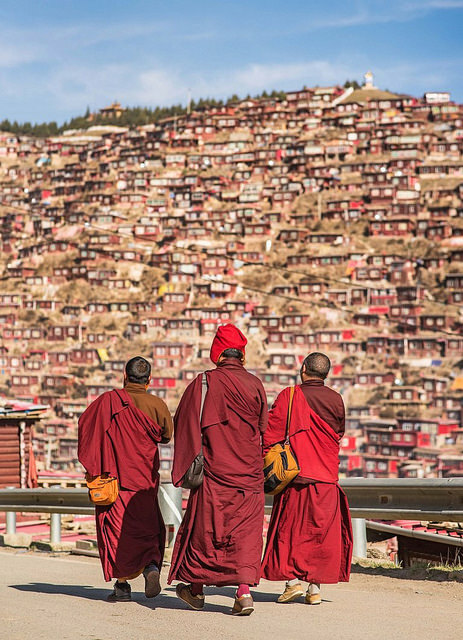 The sem-dé and long-dé series entered Tibet from India in the tenth century, but neither have been widely taught nor have they survived as living traditions in the better known Nyingma lineages. Practice of sem-dé and long-dé declined after the eleventh century. Men-ngak-dé was introduced later, from the twelfth century, and flourished to the present day. 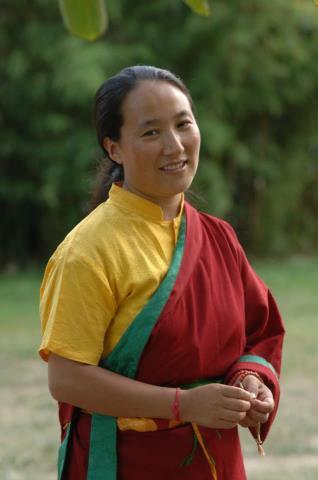 Men-ngak-dé is now the main teaching and practice of Dzogchen taught in the major Nyingma lineages. 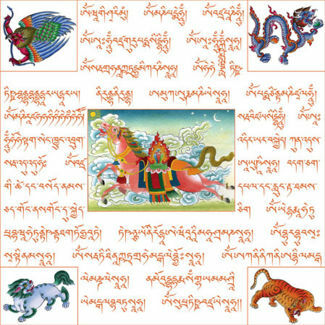 The three series of Dzogchen equate with the three statements of Garab Dorje, the Tsig Sum Né-dek – ‘Hitting the essence in three points’ These three points are: direct introduction, remaining without doubt, and continuing in the state. Sem-dé is related to direct introduction. Long-dé is related to remaining without doubt. Men-ngak-dé is related to continuing in the state. Sem-dé means the series of the nature of Mind (with a capital ‘M’). It is the series of Dzogchen with the most detailed transmission through explanation. Sem-dé equates to direct introduction. It offers explanations as direct introduction and offers methods in terms of direct introduction. Long-dé, relates to remaining without doubt, and has much less explanation within it than Sem-dé. It bases itself on the fact that one has already had direct introduction and concerns itself with remaining without doubt. It concerns methods of returning to the state of rigpa through the felt texture of subtle sensation, in which one remains without doubt. Doubt is an experience. Being free of doubt is also an experience; it’s a state in itself. Long-dé is concerned with sensation, experiential sensation. Presence of awareness is found in the dimension of sensation. In many different teachings of the Long-dé there are particular postures using belts and sticks (gom-tag and gom-shing or gom-ten) and supports of various kinds that have the function of pressing on certain pressure points. These pressure points are used to cultivate sensation, in which one finds the presence of awareness. sKu-mNyé is another similar method. It utilises sensation by stimulating the tsa-lung system. Men-ngak-dé relates to continuing in the state. It contains very little explanation indeed. There are simply directions for how to continue in the state. There are a great variety of methods within the Men-ngak-dé, but their character is very difficult to discuss outside the level of experience required to understand their significance. 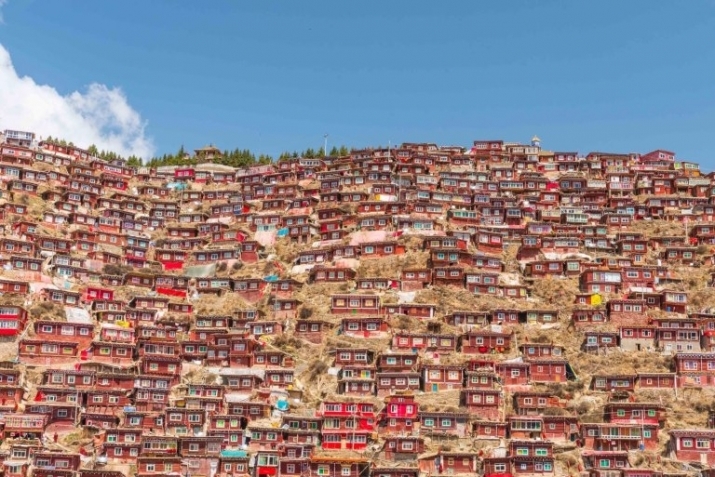 There is some disagreement in the Nyingma School, whether Dzogchen is a tantric vehicle or whether it exists within its own category. Atiyoga as it is taught in better known lineages lacks aspects of sem-dé and long-dé. 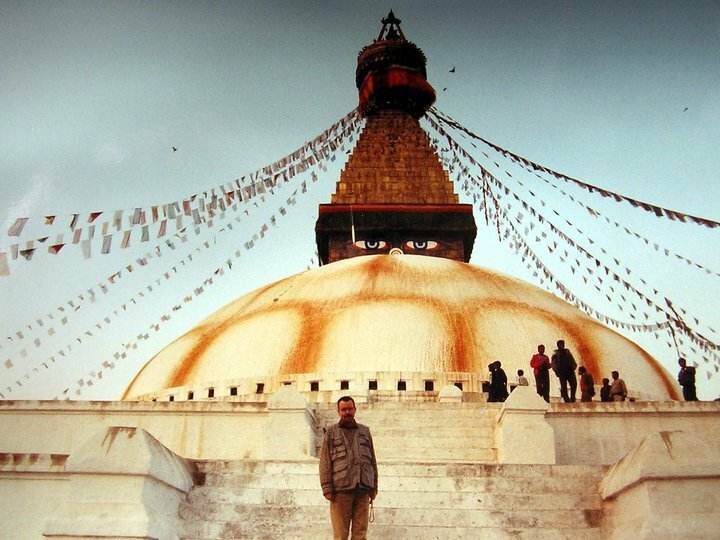 It is the direct approach to the essential nature of the mind, which is Buddha nature (De bZhin gshegs pa’i sNying Po) through the recognition of the naked awareness state of one’s own mind. 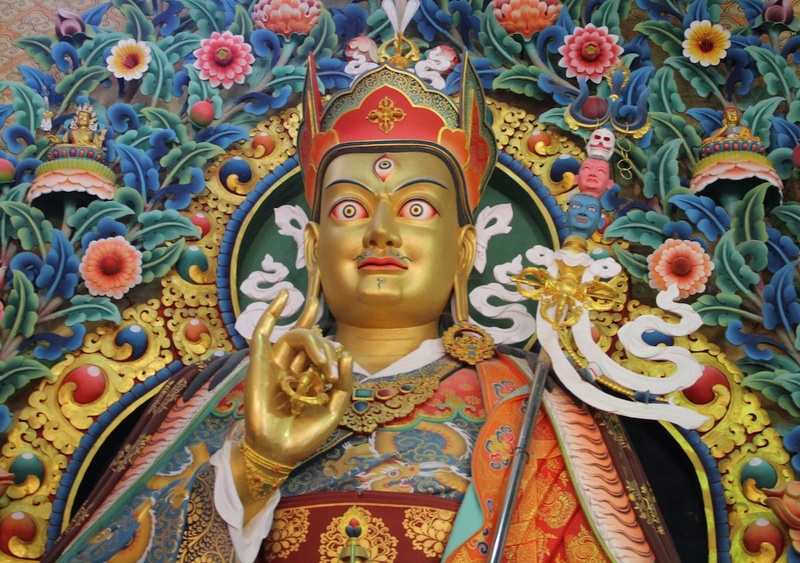 These teachings were transmitted by Vajrasattva (rDorje Sems ba) to the nirmanakaya Prahevajra who in turn transmitted them to humans teachers including Padmasambhava, Vimalamitra and Vairocana. They have three divisions: Those of Mind, Great Expanse and Instructions. The Nying ma gyud bum has 21 texts of Mind and seven of Great Expanse divisions. 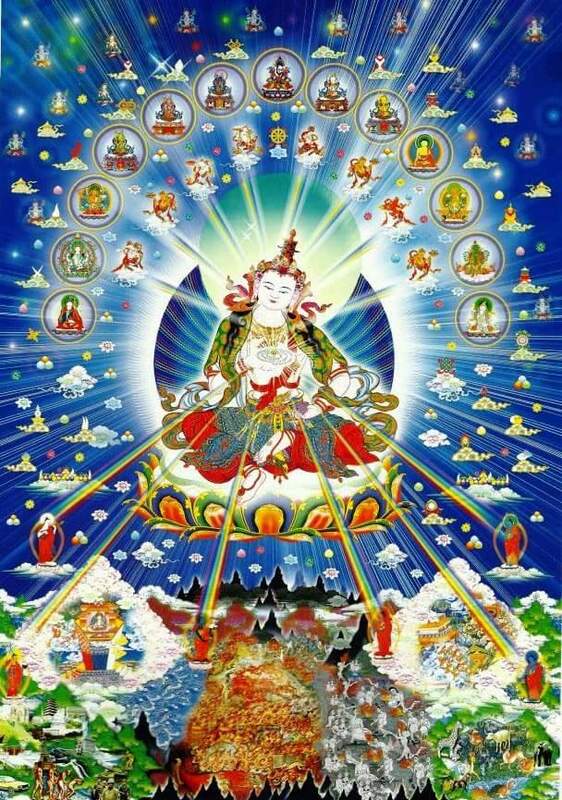 The Division of instructions of the Innermost Essence are contained in the 17 tantras also in The Nying ma gyud bum. 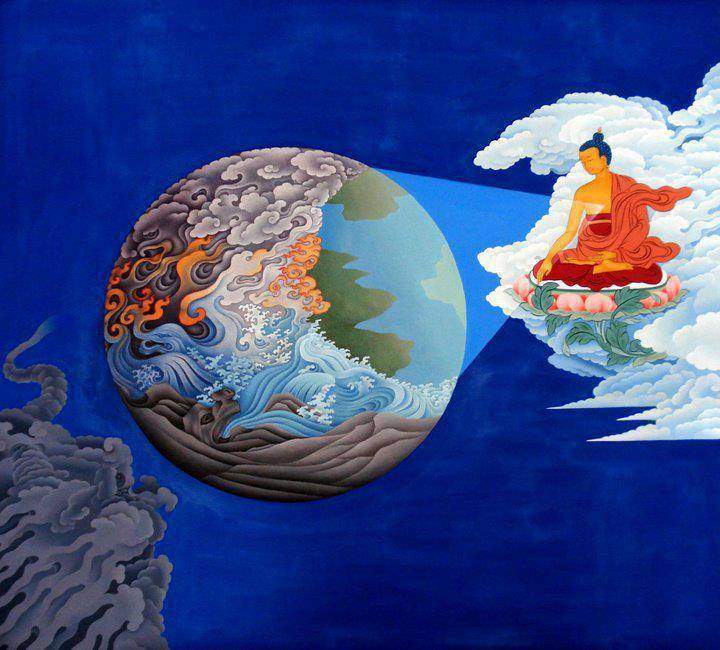 The view is established that all phenomena are spontaneously enlightened from the beginning. Through the teaching of the natural revelation of cutting through all substantial and insubstantial phenomena (khregs.chod) to realise dharmakaya wisdom. Use the spontaneous wisdom of the sambhogakaya and achieve the rainbow body of the nirmanakaya, which are spontaneous luminosity (Thod.rgyal). Without acceptance or rejection you recognise phenomena as the display of the dharmakaya. 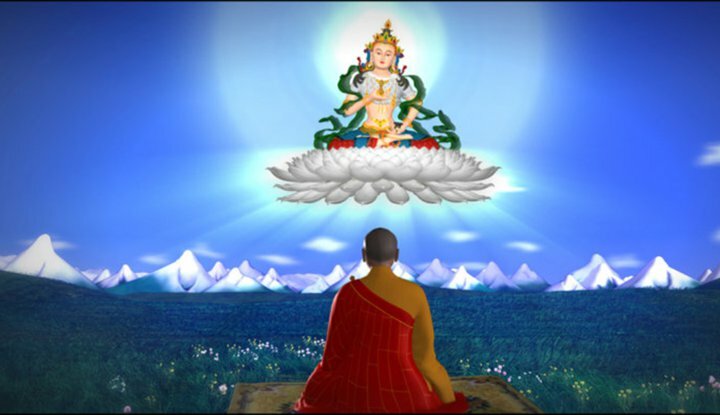 Samsara is nirvana: The realisation that the spontaneous perfect state of Kuntuzangpo is ever present and that there is nothing beyond this is enlightenment. 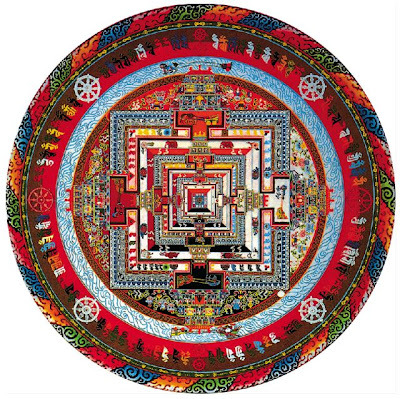 Being a Nyingmapa, is to be open to the whole stream of practice. Although the emphasis is on the three inner tantras one is open to any or all the yanas, and you practise that under a teacher. Your teacher might teach from the perspective of Dzogchen but even so, he or she may give teachings from any of the vehicles. He or she will give guidance according to the particular needs and experience of the practitioner at that time. Onze geest is zo groot als alle universa. Ze wordt door in eonen van tijd opgebouwd karma verduisterd. De boeddhanatuur is als een heldere hemel in mei. je verkeert in je ware geest die er altijd al was en er altijd al zal zijn…….. Mediteer even hierop. Alles is leeg aan inherent bestaan , alles bestaat slechts relatief. De leegte is vol aan relatief bestaan.Het relatief bestaan is leeg aan inherent (=zelfstandig) bestaan. We jagen , zonder wijsheid , alleen illusies na. We zien niet dat alles elkaar nodig heeft in een grote kosmische liefde.Als je de leegte van alles en jezelf ziet , zie je ook die liefde en is er maar een ding over : Groot Mededogen met alle lijdende wezens.Als je het mededogen beoefent ontdek je de leegte aan inherent bestaan. Beide aspecten komen voort uit elkaar in het kosmische huwelijk van de mannelijke en vrouwelijke boeddha’s. 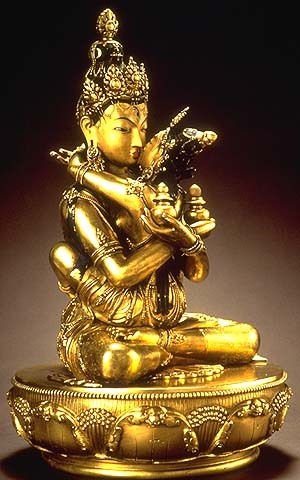 (essentie van tantra). De extase van de kosmische liefde. je falen en je spijt. Het Zicht is weg . Er komt duisternis.Je voelt je einde naderen en de koude adem van de Heer des Doods blaast door je knoken. De as ( pali: kha) in je leven zit scheef (dhuk) . Er is geen grote gelukzaligheid .De as (kha) zit niet meer in het midden zonder frictie (sukh). Maar , soms is er die mens die je weer wat zicht geeft , die de wolken wegblaast als een lentebries. De zonnestralen verwarmen je koude knoken weer en er gloort hoop. Even ervaar je Mahasukkha. Grote gelukzaligheid in leegte. De partners vinden elkaar weer en gaan weer op in elkaar. Doe iedere dag 1 negatief ding minder en 1 positief ding meer. De zon van verlichting zal weer gaan schijnen. Als je karma zuiverder wordt nemen de aanknopingspunten voor positief karma in het kwadraat toe. Je Guru is er altijd geweest en hij zal verschijnen en je thuisbrengen. 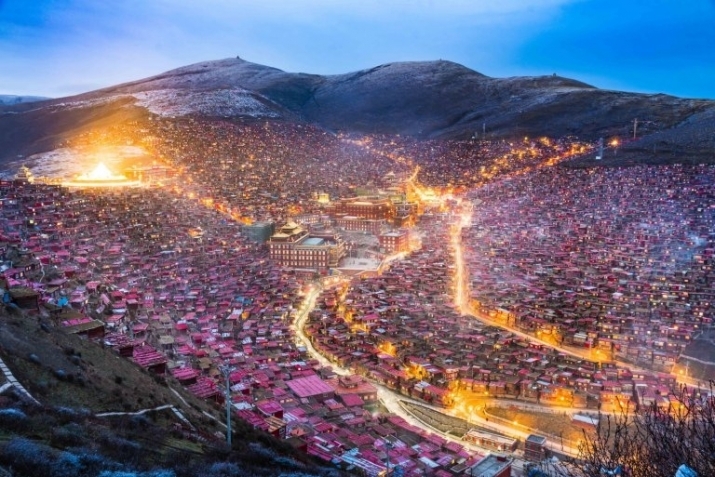 LESSEN VAN GESHE KONCHOG LHUNDUP.